So, why should a blog about Barcelona be talking about Cuba and Bacardi? Well, apart from the fact that Barcelona is as good a place as any to drink rum (apart from Cuba maybe), Bacardi was actually founded by a Catalan. See, I was going somewhere with all this! Facund Bacardí i Massó was born in Sitges in 1814 to a family of bricklayers. At just 16 he followed his brothers and emigrated to Cuba in 1830. And after a failed retail business and a brief spell back in Catalonia he returned to Cuba and founded the eponymous rum brand. These Catalans certainly get about! 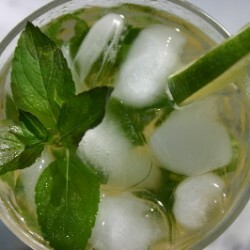 Whichever brand of rum you prefer a mojito is one of the best drinks to have it in. And if you want one of the best mojitos in Barcelona, then you need to take a trip down to Nose on Passeig del Born. Although on the main street you could easily miss this small fronted bar. And it doesn’t get much bigger inside. But a couple of their mojitos and depending on your staying power it’s either early to bed or the start of a very interesting night.